It is hard to leave your home unattended to and have the peace of mind that nothing will go amiss. In fact, it is impossible to assume so. You will always have to worry that someone will break in and make away with your valuables. Truth is, you do not have to worry if you take your time to consider simple security measures that can ensure your valuables are always safe. With that in mind, here are top 10 security measures that will allow you to enjoy your vacation without worrying about that intruder. That is and will always be the starting point. Lock up all rooms then double check just to make sure that you have locked up all entry points. The best way to go about this is to lock up your rooms a night before you leave. It will save you a lot of time as well as the inconveniences that usually come along with last minute rushes, especially if you plan to leave very early in the morning. 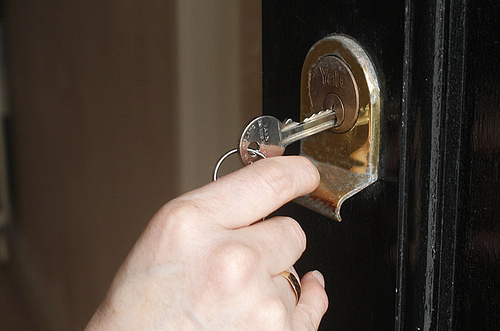 Locking up your home this way may not seem important but it will ensure you do not leave your vulnerable and unsecured. 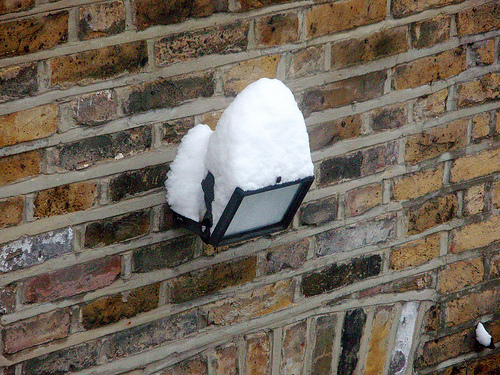 Do not leave without installing exterior lights with motion sensors. Put the lights in strategic points. Your back and front yards are highly recommended. The sensors will effortlessly deter intruders from gaining access to your property as it will literally put them in the spotlight where passersby and neighbors can see them. You will have to invest in efficient timer switches for this. They fool intruders into thinking someone is around. Remember to put the lights in rooms that cannot be easily observed from a distance through the curtains. Remember too to set them at appropriate times. The best intervals are usually just after sunset. Some security experts recommend setting them to go off at bedtime before midnight. There is however no harm leaving them on until early morning. Let your neighbors know that you will be away for some time. Then request them to pick your newspapers and tend to your lawn. A pile of newspapers on your doorstep, bushy lawns and an overflowing mailbox are sure signs that no one is around. Have someone take care of these things to create an impression that someone is around. It is easy to forget about your bills when planning for that vacation. But they are important as far as protecting your home is concerned. Give top priority to your electricity bill. How else will you be sure that your alarm system won’t go off? Remember it is not just about the alarm. There are other preventive security measures that fully rely on electricity to function. You will have to do this if you live in a neighborhood where security is not assured. Nearly all security firms have packages for short term property supervision. You can therefore consider of those packages for the short time you will be away. It is strange how people use social media. Do not announce on social media about your whereabouts. You can always do that but observe some kind of a ‘healthy balance’ while at it. Do not for instance say when you will be back. Be careful too about what you say on your voicemail or the answering machine. Do not even mention that you are away for a vacation. Things sometimes go wrong even after taking the necessary precautions. In such an unfortunate event, it is best to have a backup plan. First off, keep a detailed inventory of all your valuables. Then ensure that they are identifiable by unique marks on them. You can engrave your initials on them or mark them at appropriate places. That way, burglars will have a hard time selling them off to downtown property converters. You may also stand a chance of tracing them. It is amazing how technology can protect your house from intruders. There is much more you can do over and beyond alarm systems. You can consider pressure door mats that turn on your alarm and alert you on your phone of an intruder as soon as someone steps on them. You can also consider going for siren padlocks that let off alarm siren as soon as one touches them. Decoy cameras also happen to be nice alternatives for people on a budget. They may not capture anything but they can keep intruders at bay. Your home insurance policy should be comprehensive enough to allow you to make a claim after a house breaking incident. With that in mind, get covered for the period you will be away. Don’t think of it as an expense but rather as an investment to secure your home as well as your valuables. There is a wide range of these lights in most home improvement stores. They work differently, so be sure to pick one that best fits your needs. The best ones are deigned to send out dazzling glares anytime they are activated by a passive infrared sensor. Some are advanced and can go a long way to help you find your way through shady doorways. Like said, they work differently so be sure to take your time when buying one. Most homeowners hardly think of safes as security features but they are. They can be just as useful at home as they are in commercial settings. These safes do not succumb to pressure or heat. No amount of smashing, drilling or hammering can get a burglar inside the safes. The best thing about them is the fact that they can be fixed in concrete walls, making them immovable. All you need to do is bolt them down. These features explain why insurance underwriters are always willing to underwrite the contents inside these safes up to $3000. First off, they are way cheaper than the real CCTV cameras. They do not need any kind of maintenance. They are perfect deterrents to troublemakers. The best ones in the market are made from real CCTV camera housing. They come complete with genuine camera lenses and even bodies. One cannot tell if he is staring at a CCTV camera or its decoy. Get one. As far as achieving the Rottweiler effect is concerned, these alarms are the best. They bark, but they do not bite yet they scare away. One only needs to trigger the system. It then gives out a loud sound of a vicious and fierce dog that can easily send intruders scarpering. The alarms come with 360 degree radar detectors. They are therefore effective through concrete walls. They look like ordinary padlocks only that they come with inbuilt alarm systems. They can be used to secure just about anything, from crates, cupboards, rooms, bikes etc. The alarm gets activated an intruder touches the lock. In other words, the alarm system is sensitive to motion. It goes on and gives the intruder a scare. They are cheap and effective. $20 is more than enough to get you a good siren padlock. They are genius to say the least. The lights can be seen from a distance and usually mimic colored glows and flashes of a TV set. An intruder can therefore imagine someone’s feet up watching the TV. You can set the lights to go on every day at a given time. So troublemakers will always see ‘you’ watching the TV at home while you are continents away enjoying your vacation. They look like ordinary mats but they are not. They send wireless signals anytime one steps on them. They work in different ways, so you have to choose what works for you. You can choose the signal to turn on the alarm system, notify you via your phone, activate the indoor monitoring system which turns on the CCTV camera or the automatic locks which can lock all doors. One only needs to step on the mat. They are ideal or homeowners who usually leave their doors unlocked and want to know when they have an intruder. In a nutshell, it is all about the extra alert whenever someone enters your property. They look like radios. Some are in fact radios with the camera. You simply use the camera to keep a secret eye on what’s happening within and about your property. They work well in both commercial and residential settings. Doesn’t sound like a security gadget but it is. It allows you to monitor what your nanny is doing all day long at home. You only need to find a nice place to hide it. It will then send you real time images and clips on what’s happening at home. IGS Security announces a new service for property managers. The quality of our experience will provide property managers and building owners the operations and management expertise they need to achieve their strategic growth plans aimed at maximizing value and reducing operations costs through customized operations and management (policy and procedure) manuals. Property owners and managers can choose from an a la carte menu of O&M manual development from janitorial to security services. This range of services allows a property owner and manager the opportunity to pick and choose what he wants. Operational excellence is a critical driver for success and should be a key part of property management strategy. Using a standard approach to systematically identify and close performance gaps, property managers and building owners can continually improve the performance of their janitorial, custodial, maintenance and security operations. Being an integral part of any facility management philosophy, an IGS Security developed O&M manual provides you with a means to assure productivity and reduce operating costs through a comprehensive maintenance and security program. We understand complex buildings from the ground up and what it takes to operate them. The IGS developed O&M manual provides the details to enable your workforce to develop the skills and knowledge to perform their jobs competently. It is becoming more common for detailed, modular, building block style facility-specific O&M manuals to be prepared for property managers. Our expertise reflects decades of experience by our experienced multi-functional teams and our list of long standing customers is testimony to our commitment to excellence. Our clients know they can rely on us to keep their buildings & properties operating smoothly, continuously and at maximum efficiency.